The 61st San Francisco International Film Festival will kick off Wednesday, April 4, at venues in the Bay Area. 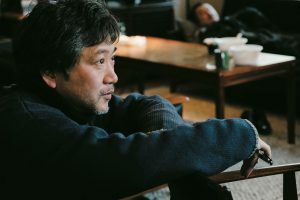 “The Third Murder” – Japanese director Hirokazu Koreeda’s latest film is an intriguing legal drama, while not straying far from his signature subject matter of family relationships and the revealing of hidden motives deep within his characters. The cast includes Koreeda’s usual Masaharu Fukuyama and Lily Frankie (“Like Father, Like Son”, 2013), Kôji Yakusho (“Tampopo”, 1985, “Oh Lucy!” 2017) Viewers who have enjoyed Koreeda’s heartwarming “Our Little Sister”(2015) will be pleased to see young Suzu Hirose once again. 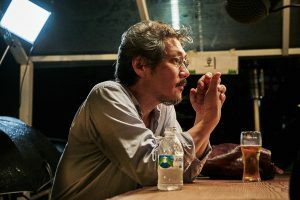 “Claire’s Camera” – Prolific South Korean director Hong Sangsoo’s new feature is shot in Cannes with the Film Festival as background. His muse Kim Min-hee (“On the beach at night alone”, 2017) joins hands with renowned French actress Isabelle Huppert in Hong’s homage to French New Wave director Eric Rohmer. A cinematic exposition on male and female relationships, love and loss. Loss, interestingly, not only in terms of physical intimacy but an existential quest of place. Further, on Saturday, April 7, Chinese American director Wayne Wang will be honored in a special tribute. A Tribute to Wayne Wang – a special event in the opening weekend of SFFILM is a tribute to prominent Asian American director Wayne Wang. The versatile director, producer, and screenwriter has for decades been a filmmaker that crosses national boundaries. Chinese American viewers might be most familiar with his culturally focused works such as (“Dim Sum: A Little Bit of Heart”, 1985), (“Eat a Bowl of Tea”, 1989), and (“The Joy Luck Club”, 1993), but his oeuvre reached out to a much broader audience with favorites like (“Maid in Manhattan,” 2002) with Jennifer Lopez and (“Last Holiday,” 2006) with Queen Latifah. At the tribute, SFFILM will conduct an onstage Q & A with Wang, followed by a screening of his newly remastered award-winning feature “Smoke” (1995). Collaborated with novelist Paul Auster, “Smoke” won the Silver Berlin Bear at the 1995 Berlin International Film Festival among other accolades. A Tribute to Wayne Wang will be held on Sat., April 7, at 7:30 pm at Dolby Cinema at 1275 Market Street. “The Third Murder” will be screened from Friday to Sun., April 6 – 8. Dates for “Claire’s Camera” is April 7, 9, and 12. For show times, venues and ticket info go to https://www.sffilm.org.